A big thank you to Lon for this picture, and the post title. 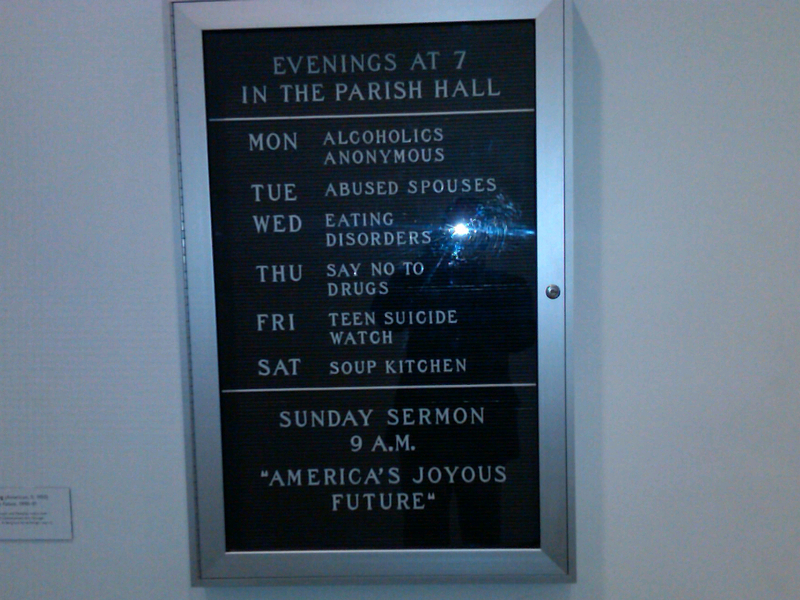 The best part about this sign is the Sunday sermon… America’s Joyous Future. Anyone who can give a sermon like that after a week of problems like those deserves a packed house. Hmmm… I forgot to ask him if this was real or something he made on one of those custom sign generator sites. Looks real to me only because of the reflection of the flash in the glass. ? ?